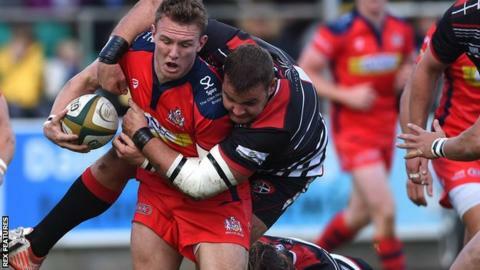 Cornish Pirates have renewed the contracts of prop Jack Andrew and versatile back Mike Pope. The 25-year-olds signed for the Pirates in 2013, and both featured in the club's recent thrilling 54-46 win over Bedford Blues. Andrew has made 63 appearances for the Pirates, having previously played for Plymouth Albion and Exeter Chiefs. Pope previously captained the England University sevens squad in the BUCS Home Nations.